Cleve Cartmill was an American writer of science fiction and fantasy short stories. He is best remembered for what is sometimes referred to as "the Cleve Cartmill affair", when his 1944 story "Deadline" attracted the attention of the FBI by reason of its detailed description of a nuclear weapon similar to that being developed by the highly classified Manhattan Project. In 1943, Cartmill suggested to John W. Campbell, the then-editor of Astounding, that he could write a story about a futuristic super-bomb. Campbell liked the idea and supplied Cartmill with considerable background information gleaned from unclassified scientific journals, on the use of Uranium-235 to make a nuclear fission device. The resulting story appeared in the issue of Astounding dated March 1944, which actually appeared early in February of that year. 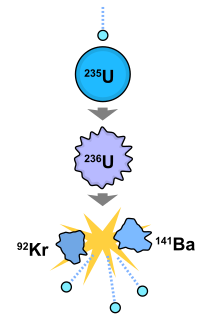 Uranium-235 (235U) is an isotope of uranium making up about 0.72% of natural uranium. Unlike the predominant isotope uranium-238, it is fissile, i.e., it can sustain a fission chain reaction. It is the only fissile isotope with a primordial nuclide found in significant quantity in nature. Gregory Benford is an American science fiction author and astrophysicist who is Professor Emeritus at the Department of Physics and Astronomy at the University of California, Irvine. He is a contributing editor of Reason magazine. 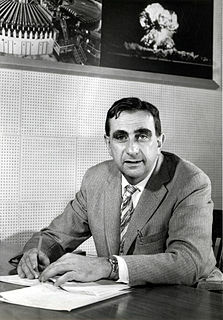 Edward Teller was a Hungarian-American theoretical physicist who is known colloquially as "the father of the hydrogen bomb", although he did not care for the title. He made numerous contributions to nuclear and molecular physics, spectroscopy, and surface physics. His extension of Enrico Fermi's theory of beta decay, in the form of Gamow–Teller transitions, provided an important stepping stone in its application, while the Jahn–Teller effect and the Brunauer–Emmett–Teller (BET) theory have retained their original formulation and are still mainstays in physics and chemistry. Teller also made contributions to Thomas–Fermi theory, the precursor of density functional theory, a standard modern tool in the quantum mechanical treatment of complex molecules. In 1953, along with Nicholas Metropolis, Arianna Rosenbluth, Marshall Rosenbluth, and Augusta Teller, Teller co-authored a paper that is a standard starting point for the applications of the Monte Carlo method to statistical mechanics. Throughout his life, Teller was known both for his scientific ability and for his difficult interpersonal relations and volatile personality. Coming three years later in the same magazine, Cleve Cartmill's "Deadline" provoked astonishment in the lunch table discussions at Los Alamos. It really did describe isotope separation and the bomb itself in detail, and raised as its principal plot pivot the issue the physicists were then debating among themselves: should the Allies use it? To the physicists from many countries clustered in the high mountain strangeness of New Mexico, cut off from their familiar sources of humanist learning, it must have seemed particularly striking that Cartmill described an allied effort, a joint responsibility laid upon many nations. Discussion of Cartmill's "Deadline" was significant. The story's detail was remarkable, its sentiments even more so. Did this rather obscure story hint at what the American public really thought about such a superweapon, or would think if they only knew? Talk attracts attention, Teller recalled a security officer who took a decided interest, making notes, saying little. In retrospect, it was easy to see what a wartime intelligence monitor would make of the physicists' conversations. Who was this guy Cartmill, anyway? Where did he get these details? Who tipped him to the isotope separation problem? "and that is why Mr. Campbell received his visitors." Fearing a security breach, the FBI began an investigation into Cartmill, Campbell, and some of their acquaintances (including Isaac Asimov and Robert A. Heinlein). It appears that the authorities eventually accepted the explanation that the story's material had been gleaned from unclassified sources, but as a precautionary measure they requested that Campbell should not publish any further stories about nuclear technology for the remainder of the war. 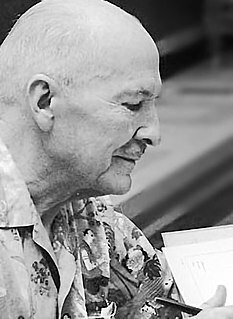 Robert Anson Heinlein was an American science-fiction author, aeronautical engineer, and retired Naval officer. Often called the "dean of science fiction writers", He was among the first to emphasize scientific accuracy in his fiction, and was thus a pioneer of the subgenre of hard science fiction. His work continues to have an influence on the science-fiction genre, and on modern culture more generally. Nuclear technology is technology that involves the nuclear reactions of atomic nuclei. Among the notable nuclear technologies are nuclear reactors, nuclear medicine and nuclear weapons. It is also used, among other things, in smoke detectors and gun sights. 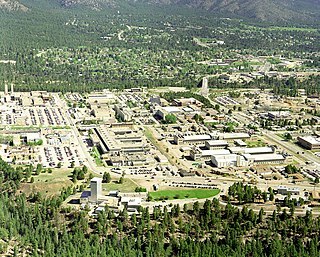 Campbell, in the meantime, had guessed from the number of Astounding subscribers who had suddenly moved to the Los Alamos area, that the US government probably had some sort of technical or scientific project ongoing there. He declined to volunteer this information to the FBI. "Deadline" was described by Robert Silverberg as "a klutzy clunker" and by Cartmill himself as "that stinker". According to Silverberg, Cartmill also used the phrase "it stinks" when describing the story to a postman who was acting as an informer for military intelligence. Edward Groff Conklin was an American science fiction anthologist. He edited 40 anthologies of science fiction, one of mystery stories, wrote books on home improvement and was a freelance writer on scientific subjects as well as a published poet. From 1950 to 1955, he was the book critic for Galaxy Science Fiction. Frederik George Pohl Jr. was an American science-fiction writer, editor, and fan, with a career spanning more than 75 years—from his first published work, the 1937 poem "Elegy to a Dead Satellite: Luna", to the 2011 novel All the Lives He Led and articles and essays published in 2012. Martin Harry Greenberg was an American academic and speculative fiction anthologist. In all, he compiled 1,298 anthologies and commissioned over 8,200 original short stories. 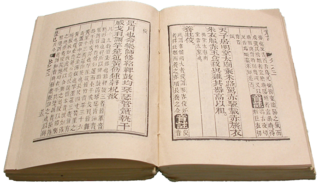 He founded Tekno Books, a packager of more than 2000 published books. As well, he was a co-founder of the Sci-Fi Channel. Greenberg was also a terrorism and Middle East expert. He was a long-time friend, colleague and business partner of Isaac Asimov. "Blind Alley" is a science fiction short story by American writer Isaac Asimov. It was first published in the March 1945 issue of Astounding Science Fiction, and later included in the collection The Early Asimov (1972). 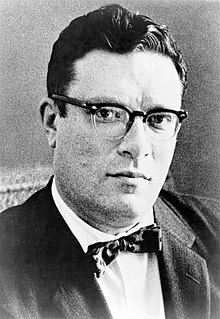 "Nightfall" is a 1941 science fiction novelette by American writer Isaac Asimov about the coming of darkness to the people of a planet ordinarily illuminated by sunlight at all times. It was adapted into a novel with Robert Silverberg in 1990. The short story has been included in 48 anthologies, and has appeared in six collections of Asimov's stories. In 1968, the Science Fiction Writers of America voted "Nightfall" the best science fiction short story written prior to the 1965 establishment of the Nebula Awards, and included it in The Science Fiction Hall of Fame Volume One, 1929-1964. Gnome Press was an American small-press publishing company primarily known for publishing many science fiction classics. Gnome was one of the most eminent of the fan publishers of SF, producing 86 titles in its lifespan — many considered classic works of SF and Fantasy today. Gnome was important in the transitional period between Genre SF as a magazine phenomenon and its arrival in mass-market book publishing, but proved too underfunded to make the leap from fan-based publishing to the professional level. The company existed for just over a decade, ultimately failing due to inability to compete with major publishers who also started to publish science fiction. In its heyday, Gnome published many of the major SF authors, and in some cases, as with Robert E. Howard's Conan series and Isaac Asimov's Foundation series, was responsible for the manner in which their stories were collected into book form. Miles John Breuer was an American physician and science fiction writer. He was part of the first generation of writers to appear regularly in the pulp science fiction magazines, publishing his first story, "The Man with the Strange Head", in the January 1927 issue of Amazing Stories. His best known works are "The Gostak and the Doshes" (1930) and two stories written jointly with Jack Williamson, "The Girl from Mars" (1929) and The Birth of a New Republic (1931). The Outer Reaches is an anthology of science fiction stories edited by August Derleth. It was first published by Pellegrini & Cudahy in 1951. The stories had originally appeared in the magazines Fantasy & Science Fiction, Astounding Stories, Blue Book, Maclean's, Worlds Beyond, Amazing Stories, Fantastic Adventures, Thrilling Wonder Stories and Galaxy Science Fiction or in the anthology Invasion from Mars. Journey to Infinity is a 1951 anthology of science fiction short stories edited by Martin Greenberg. The stories originally appeared in the magazines Astounding SF, Amazing Stories and Future Science Fiction. The Moon Is Hell! is a collection of science fiction stories by American writer John W. Campbell, Jr.. It was published in 1950 by Fantasy Press in an edition of 4,206 copies. The title story deals with a team of scientists stranded on the Moon when their spacecraft crashes, and how they use their combined skills and knowledge to survive until rescue, including building shelter from meteor showers, and creating their own oxygen from Lunar rock. The second story, "The Elder Gods" Campbell rewrote, on a short deadline, from a story by Arthur J. Burks purchased for Unknown but later deemed unsatisfactory. It originally appeared in that magazine under the pseudonym Don A. Stuart. The title of the eponymous story is generally reported without the exclamation point, although the punctuation is used for the title of most editions of the collection itself. Analog Science Fiction and Fact is an American science-fiction magazine published under various titles since 1930. Originally titled Astounding Stories of Super-Science, the first issue was dated January 1930, published by William Clayton, and edited by Harry Bates. Clayton went bankrupt in 1933 and the magazine was sold to Street & Smith. The new editor was F. Orlin Tremaine, who soon made Astounding the leading magazine in the nascent pulp science fiction field, publishing well-regarded stories such as Jack Williamson's Legion of Space and John W. Campbell's "Twilight". At the end of 1937, Campbell took over editorial duties under Tremaine's supervision, and the following year Tremaine was let go, giving Campbell more independence. Over the next few years Campbell published many stories that became classics in the field, including Isaac Asimov's Foundation series, A.E. van Vogt's Slan, and several novels and stories by Robert A. Heinlein. The period beginning with Campbell's editorship is often referred to as the Golden Age of Science Fiction. Isaac Asimov Presents The Great SF Stories 6 (1944) is the sixth volume of Isaac Asimov Presents The Great SF Stories, which is a series of short story collections, edited by Isaac Asimov and Martin H. Greenberg, which attempts to list the great science fiction stories from the Golden Age of Science Fiction. They date the Golden Age as beginning in 1939 and lasting until 1963. The book was later reprinted as the second half of Isaac Asimov Presents The Golden Years of Science Fiction, Third Series with the first half being Isaac Asimov Presents The Great SF Stories 5 (1943). The Best of Science Fiction, published in 1946, is an anthlogy of science fiction anthologies edited by American critic and editor Groff Conklin. Science-Fiction Adventures in Dimension is an anthology of science fiction stories edited by Groff Conklin, first published by Vanguard Press in hardcover in 1953. An abridged edition was issued by Grayson & Grayson in the UK, and an abridged paperback edition, with a different selection of stories from the original, was issued by Berkley Books; both abridgments carried unhyphenated titles. A Treasury of Science Fiction is an American anthology of science fiction short stories edited by Groff Conklin. It was first published in hardcover by Crown Publishers in 1948, and reprinted in March 1951. A later edition was issued by Bonanza Books/Crown Publishers in March 1980. An abridged paperback version including eight of its thirty stories was published by Berkley Books in July 1957 and reprinted in January 1958 and January 1965. Fifty Short Science Fiction Tales is an anthology of science fiction short stories and poems edited by Isaac Asimov and Groff Conklin. It was first published in paperback by Collier Books in 1963 and reprinted in 1966, 1968, 1969, 1971, 1973, 1974, 1976, and 1978; a later reprint was issued by Scribner Paperback Fiction in August 1997. The book has been translated into Italian. Dimension 4 is an anthology of science fiction short stories edited by Groff Conklin. It was first published in paperback by Pyramid Books in February 1964. "Giant Killer" is a science fiction short story by A. Bertram Chandler. It was first published in the October 1945 issue of Astounding Science Fiction, and later included in many science fiction anthologies, including World of Wonder edited by Fletcher Pratt. In 1996 it was shortlisted for a Retro Hugo Award for Best Novella. ↑ Rogers, Alva (1964). A Requiem for Astounding. Advent. ISBN 0-911682-16-3.